How did the letter Z come to be associated with sleeping/snoring? 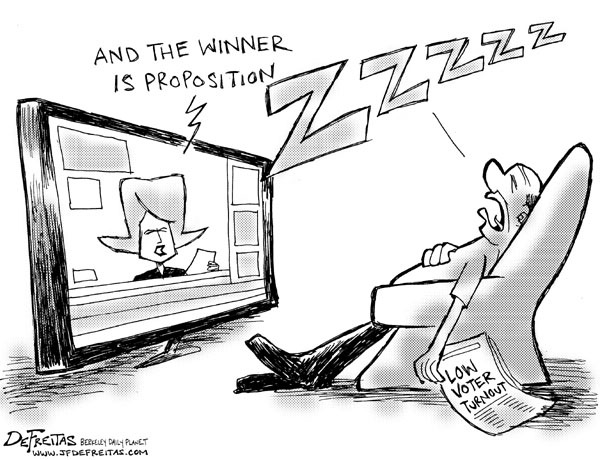 In cartoons and comics it's not uncommon to see a series of Z's to indicate that a person is in deep slumber, such as in the following political cartoon. How and when did the letter Z come to be associated with sleeping? "How and when did the letter Z become to be associated with sleeping?" First of all, zzzz (or z-z-z-z) is sound of snoring, from at least 1918. (Sometimes "a tiny saw cutting through a log"  would be used, and both the snore and saw would make the same z-z-z-z sound.) Over time, this became associated with sleep in general, but most comic reference books (e.g. 2006's KA-BOOM! A Dictionary of Comic Book Words, Symbols & Onomatopoeia, 2008's Comic books: how the industry works) still mainly associate it with snoring. The reason zzz came into being is that the comic strip artists just couldn’t represent sleeping with much. ... As the sounds made while sleeping are quite difficult to represent with letters, the artists chose zzz, because it best represents the sound ... In fact it has made itself into its own meaning - it no longer needs explanation and is generally accepted world wide as a representation of sleeping. The reason it even became what it now is, is almost lost, such as the meaning of the wrong end of the stick. I’ll let you figure that one out. The earliest references I found connect zzzz with snoring, including an explanation that says snoring is indicated by zzzz. Tenderfoot: "Do you know the scientific name for snoring?" So saying, Tooten hitched his falling socks, yawned, shut the door on his intellectual rescrvdir now devoid of any running comment, and went back to sleep. Calico called her first grade to order. "Zzzzzzz," quavered she, "is the sound of the bee, the one with wings, but stands for Z. Congusing, isn't it?" A little girl who had learned her alphabet began by Awakening and followed the alphabet all through the day, each letter representing many things, until she went to sleep, Zzzzzz. It is a convention in American comics that the sound of a snore can be reduced to a single letter Z. Thus a speech bubble with this letter standing all alone (again, drawn by hand rather than a font type) means the character is sleeping in most humorous comics. This can be seen, for instance, in Charles Schulz's Peanuts comic strips. Originally, the resemblance between the 'z' sound and that of a snore seemed exclusive to the English language, but the spread of American comics has made it a frequent feature in other countries. An exception to this is in Japanese manga, where the usual symbol for sleep is a large bubble coming out of the character's nose. I have just discovered this question and am surprised that more reference has not been made to the word snooze. There is a passing reference in the accepted answer but, on checking, this word dates back to 1789 and is described as 'a cant word, echoic of a snore.' Cartoons through the years seem to have extended snooze or borrowed the latter zzz sound which, by default, has become its representation. My theory, anyway! Zzz or zzzz is used in writing to represent the act of sleeping. It is used because human snoring often sounds like the pronunciation of the letter. Z looks like (also sounds like) electrical wave, and people send out brain waves when they are sleeping. Not the answer you're looking for? Browse other questions tagged etymology onomatopoeia or ask your own question. What is the origin of using the letters 'ZZZ' to symbolize a person sleeping? How did “tot” come to mean a measure or ration?